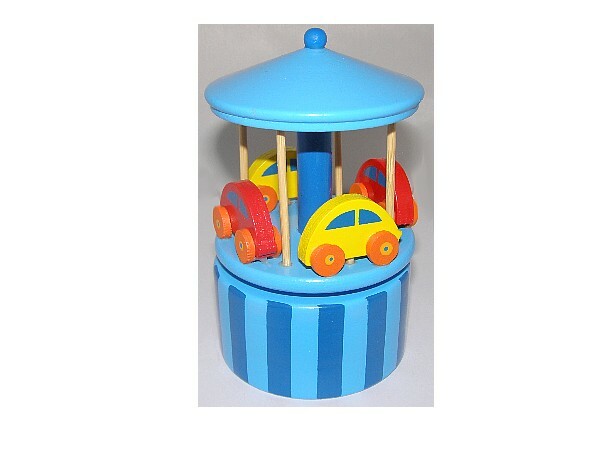 A musical wooden carousel with four little brightly coloured cars. 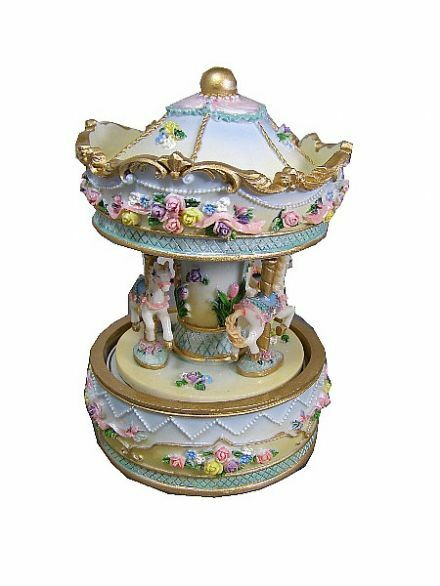 A beautifully painted wooden miniature music box carousel with 4 miniature brightly coloured cars. 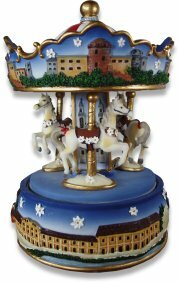 The base is fitted with a clockwork musical movement.The top part of the carousel rotates on the base as the musical merry go round ornament plays " Frere Jaques". 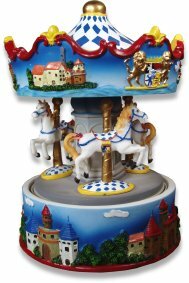 This musical carousel is made from wood and hand painted in blue, red & yellow colours. IMPORTANT NOTICE - This is a collectable figurine, so children should be supervised if handling them, If you are unsure about suitability, please ask one of our staff for guidance.